Poll: Should Camp Pendleton Marines, Local SEALs Be Ready for Ukraine Fight? When hot spots erupt, San Diego’s military snaps to attention. Although nobody has publicly suggested that President Obama commit troops to defend Ukraine, NATO might have a say. And U.S. troops could be in the mix. 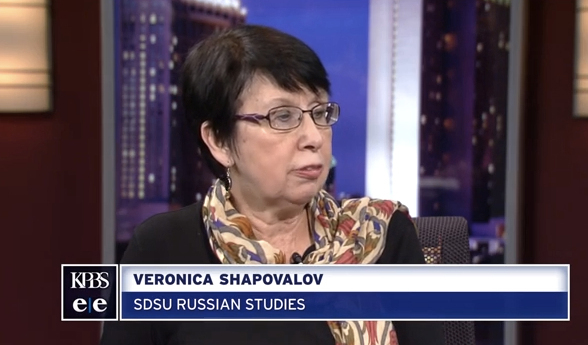 Veronica Shapolavov, Russian studies professor at San Diego State University, told KPBS recently about Ukraine’s strategic and economic importance to Russia. Vera Skot, a daughter of Ukrainians who volunteers at the House of Ukraine in Balboa Park, noted email campaigns in support of that nation, urging Obama and Congress to send money and recruit NATO’s help. Should the Joint Chiefs of Staff order San Diego’s fighting men and women — Marines, SEALs and sailors — to prepare for the worst — a possible defense of Ukraine if the Crimean annexation spreads to the rest of the former Soviet client state? This is the third in a series of weekday polls in Times of San Diego. For earlier posts, visit Opinion. Should San Diego County troops be readied for Ukraine defense?